Is Single Sports Play or Team Sports Play Better? What Do Good Athletes Have in Common? What Does Athletics Really Mean? Why Are Sports Tournaments Important? It is not uncommon for those that are athletically inclined to enjoy not only participating in many different types of sports but also watching them. 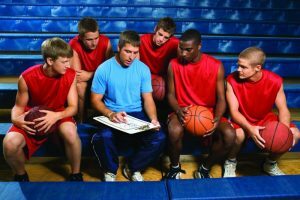 Those that are serious about getting into the athletic arenas will most often decide to specialize in one sport, giving all their attention to the activity that they have chosen. This is something that is taking place more frequently now than it did in the past. School aged children are making decisions very early in life to focus on one sport of interest rather than participating in a variety of them. There is some controversy as to whether this is good for the sport industry overall and for the individual athlete themselves. Some believe the young sports-minded person should be versatile in their different gameplay to ensure that there is some diversity in these types of activities. Others feel that it is important for the young athlete that has the hopes of becoming a professional in their sports field can focus on just the one sport. With the specialization in one sport, it means the athlete must dedicate all their time to the training that is specific to that activity. Some of the concerns that come with this are that the individual may burn out or become injured by being overzealous in their training. Other concerns are that if they do not excel at the sport that they have chosen that this becomes mentally detrimental to them and that they feel that they have no other doors of opportunity in the sporting world to advance into. Basically, it is going to come down to the individual themselves and their characteristics as to what they feel is best for them. One thing is for certain and that is there are many choices in the sports world that are available to them.